Visibility's needs came in two distinct parts, short and long term. With an appearance in the media approaching, Visibility needed a web presence fast. 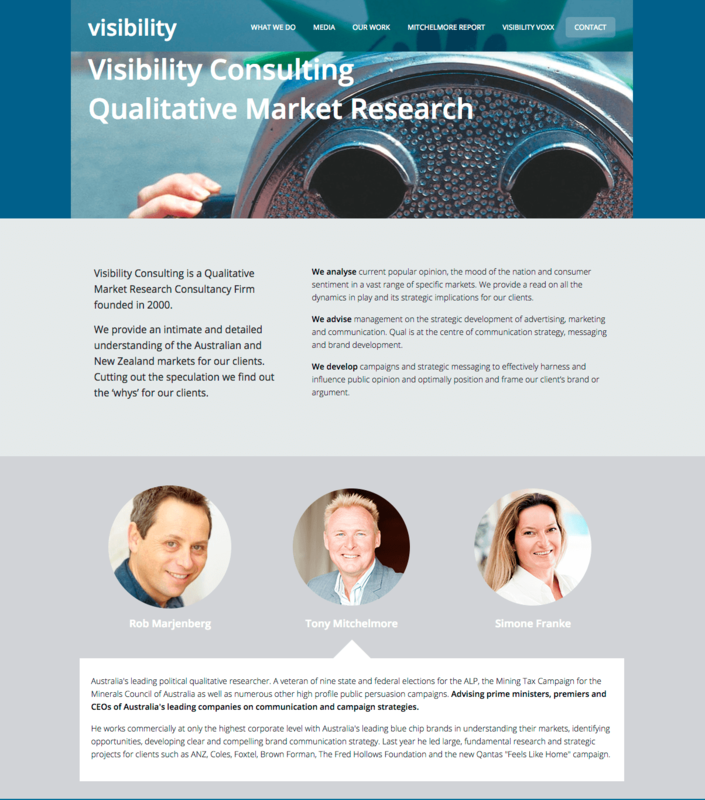 In the longer term Visibility wanted a professional and dynamic website to communicate who they are and what they do. With no time to spare we pulled out all the stops to get a splash site live for Visibility. Delivered in the nick of time we then turned our attention to a full fledged site where Visibility could tell the world about themselves. Creative design and interactivity elevates Visibility above the pack and deliver a home where Visibility can establish their brand.